This outlet will be on hand to cover the 2017 Amelia Island Concours d’Elegance automotive event in Florida next month. As a result, we’re keeping an eye out for news on what special and historic vehicles will be on-hand during the international pageant of cars. One of the historic machines on display will be Edward VIII’s unique Cadillac limousine. 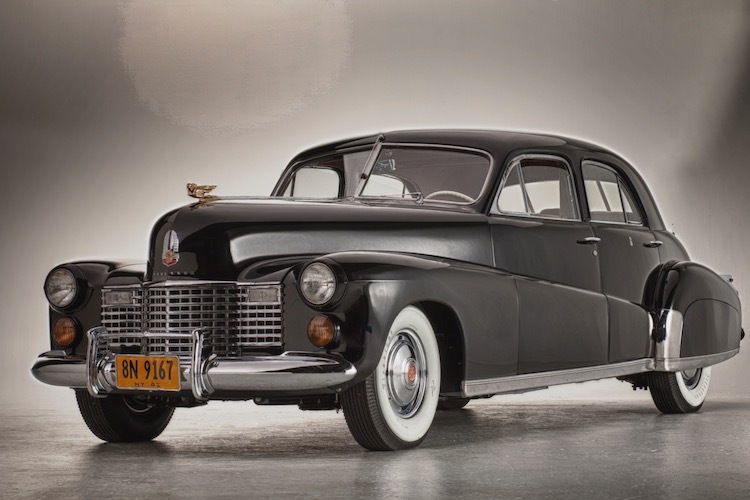 According to the car’s bio, royal tradition in the UK holds that the British Sovereign’s car is a Daimler, but the king who abdicated the throne of England in 1936 to marry an American woman became a Cadillac man in 1941. So, technically, he was no longer King Edward VIII when he took ownership, but we’re splitting royal hairs. After abandoning the throne, Edward and American Wallis Simpson moved to New York to live in the Waldorf-Astoria. Their Cadillac limousine (“The Duchess”) suited their lofty life’s path with four jewelry cases, a cigar humidor and three lighters. A power radio antenna and hydraulic power windows were built in — true rarities for wartime. A gold plated version of Cadillac’s Goddess hood ornament finished off the look. The 2017 Amelia Island Concours d’Elegance is underway March 10-12 on the 10th and 18th fairways of The Golf Club of Amelia Island, Ritz-Carlton, Amelia Island. We’ll see you there.